HomeJune 2016Do we need women deacons? 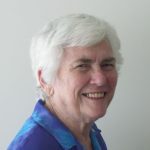 Why ordain women as deacons to stand forever on the first rung of the hierarchical clerical ladder, asks Good Samaritan Sister Mary McDonald. At a recent meeting in Rome of almost 1,000 leaders of the world’s congregations of women religious, Pope Francis was asked if he would consider establishing an official commission to study the question of women deacons in the Church. His response, as reported by the National Catholic Reporter, was: “I believe yes. It would do good for the Church to clarify this point. I am in agreement. I will speak to do something like this”. To what purpose, I asked? Women are already carrying out the key functions of the service diaconate, which are ministries of the liturgy, the word and charity. The exercise of these gifts is already evident in our parish communities, more so in remote and rural parishes that rarely have a priest in residence. And anyway, why ordain women to stand forever on the first rung of the hierarchical clerical ladder: deacon, priest, monsignor, bishop, archbishop, cardinal, pope? They will never put foot on the next rung. The key issue for me in this conversation is the exclusion of women from authority, decision-making and power (in the best sense of the word) in the Church. Yes, women can exercise authority through their expertise, usually in the disciplines of theology and scripture, but they are given no real access to decision-making in the Church. Currently this resides exclusively in the ordained male priesthood. In 1988, I was invited, as president of Women and the Australian Church (WATAC), along with Mercy Sister Elaine Wainwright, a scripture scholar, to give a paper to the Australian Catholic Bishops’ Conference. In that paper I said: “Within the Church, there is need for structural change. The question of ordination is central. In the Catholic Church, authority and power reside within the priesthood which is hierarchical… If women were admitted to the ministerial priesthood they would have equal access to both power and authority”. In conversation after delivering the paper, one of the bishops said to me, “I would prefer that you omitted the reference to power and authority before you print the papers”. I replied: “With respect bishop, I cannot do that because what I said is central to the issue of the ordination of women in the Catholic Church”. Almost 30 years later my view hasn’t changed. The discussion and debates on the ordination of women came to a definitive end with the promulgation of Pope John Paul II’s Apostolic Letter Ordinatio Sacerdotalis, “On Reserving Priestly Ordination to Men Alone”. The reason offered was that the Church cannot reverse Jesus’ decision to choose male apostles, the predecessors to priests and bishops. Sacramental power and juridical authority come with priestly ordination and episcopal consecration. Barred from these roles, women can cooperate with, but not share, authority. Of course there could be a hypothetical exception – women cardinals, who might get access to some power in high-level decision-making in the Church. While we associate cardinals with ordination, their appointment has not always been connected with priestly or episcopal ordination. In the Church’s history non-ordained men and women have been named as cardinals. According to the Italian newspaper, La Stampa, Teodolfo Mertel, who died in 1899, was “the last cardinal who was not ordained a priest”. Writing almost 25 years ago in the July 1992 edition of US Catholic, Greg Pierce presented what seems to me an enlightened way forward for the appointment of women cardinals. He said: “To show the Church’s commitment to the equality of men and women and to prove that his reluctance to ordain women has nothing to do with the question of power in the Church, the Pope [Pope John Paul II] could announce that he will name only women as cardinals of the Church until their number in the college of cardinals equals 50 per cent of its membership”. In 2013, the Vatican’s spokesman Father Federico Lombardi said that women becoming cardinals was “theologically and theoretically” possible. But in the same interview, in response to speculation at the time that Pope Francis was about to appoint some women cardinals, he said the idea “was nonsense”. To clarify the situation, Pope Francis, himself, ruled out the idea when he said: “I don’t know where this idea sprang from. Women in the Church must be valued not ‘clericalised’. Whoever thinks of women as cardinals suffers a bit from clericalism”. Speaking to media recently in response to the Pope’s comments about introducing a commission to study the question of women deacons, Lombardi was quick to caution that Pope Francis “did not say he intends to introduce a diaconal ordination for women”. He added, it “is a question that has been discussed much, including in the past”. In other words, don’t get your expectations up. So if the hope of women becoming cardinals is slim, so is the hope of expecting the inclusion of women to the ordained diaconate. Both seem highly unlikely. Catholic scholar Phyllis Zagano seems to think so too. Writing in The Tablet last month in response to Pope Francis’ comments about studying the question of women deacons, she said: “He said celebration of the Eucharist and preaching during Mass are restricted to the priest, who is acting ‘in persona Christi’. If, by extension, no woman can act ‘in persona Christi’ then he would have to determine that no woman can be ordained deacon”. So my question remains: Why do we need women deacons? To me the answer is self-evident. We don’t. What is more, women will probably not be allowed!